Carla is a native of California, born and raised in Sonoma County. She graduated from UC Davis in May 2009 with a Bachelor of Arts in Sociology and Psychology and a minor in Chicano Studies. After graduation, Carla worked for a non-profit child development agency in Sonoma County. With the desire to pursue a law degree, Carla returned to Davis to attend law school. Carla received her J.D. from UC Davis School of Law in May 2013. During law school, Carla developed a strong desire to practice family law and explored her interest in family law as a legal research extern at the William R. Ridgeway Family Relations Courthouse and as a law clerk for the Family Violence Appellate Project. 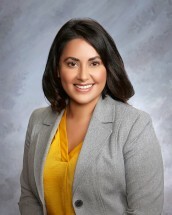 Carla refined her writing skills as an Articles Editor for the UC Davis Law Review and gained experience through the UC Davis Immigration Law Clinic where she represented a victim of domestic violence in her affirmative application for immigration relief. Upon graduation, Carla was awarded the Public Service Law Program Certificate. After law school, Carla began working as an associate attorney representing injured workers before the Workers’ Compensation Appeals Board. She enjoyed the client-attorney interaction and the ability to assist every client as they went through a very difficult time in their life. However, she always had a yearning to practice family law. After practicing Workers’ Compensation law for several years, Carla transferred her skills and experience to family law. This transition confirmed to Carla that family law was the area of practice that she was supposed to pursue.